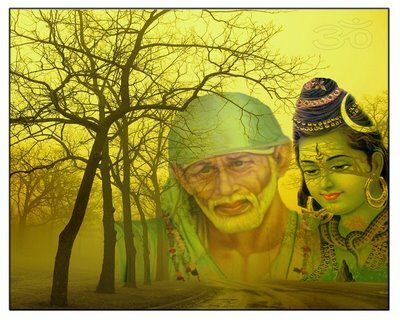 Sri Sai Baba, a personification of spiritual perfection and an epitome of compassion, lived in the little village of Shirdi in the state of Maharashtra (India) for sixty years. Like most of the perfect saints he left no authentic record of his birth and early life before arriving at Shirdi. In fact, in the face of his spiritual brilliance such queries do not have much relevance. 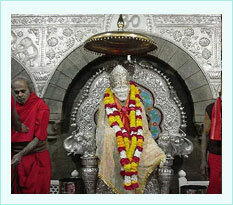 He reached Shirdi as a nameless entity. One of the persons who first came in contact with him at Shirdi addressed him spontaneously as ‘Sai’ which means Savior, Master or Saint. ‘Baba’ means father as an expression of reverence. In the Divine play it was designed as such, that he subtly inspired this ....erson to call him by this name, which was most appropriate for his self-allotted mission. Nearest railhead is Kopargaon, 15 kms on the Manmad - Daund Section of Central Railway. Mumbai - Shirdi, 296 kms, [ Mumbai - Nashik - Niphad - Yeola - Shirdi] Nashik - Shirdi, 112 kms. Aurangabad - Shirdi, 126 kms. [Aurangabad - Vaijapur Yeola - Kopargaon - Shirdi], Pune - Shirdi, 183 kms. [Pune - Kalamba - Sangamner - Talegaon - Shirdi]. State Transport buses ply regularly from Mumbai, NAshik, Ahmednagar, Aurangabad, Pune, Kopargaon. 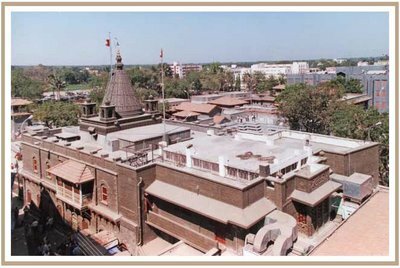 MTDC runs a biweekly round trip bus service to Shirdi from Mumbai.